I was born and raised in Wisconsin and have been involved in Real Estate for over 30 years, purchasing my first home in college to remodel and resell. 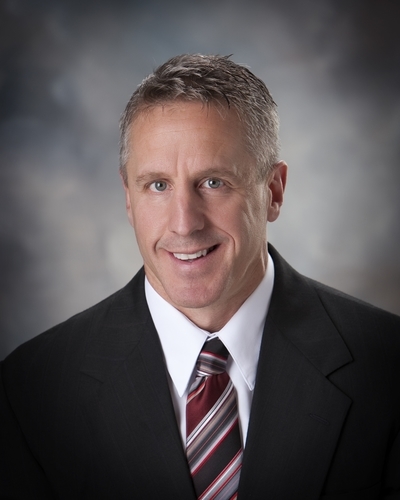 I have been in Central Wisconsin since 1994 and the Broker/Owner of Central WI Real Estate. I live just outside of Wausau with my wife and 3 incredible children. We enjoy most outdoor activities including hunting, hiking, skiing, biking and running. Our family has owned and operated Wausau Health & Fitness, a family oriented health club for over 20 years. I have an BBA in Finance and a Masters Degree in Business Administration from UW-Whitewater. I played college football and then professional football for another 3 years after college. I have an immense amount of knowledge in most areas of real estate. During the past 30 years I have been involved in over 5000 transactions, either buying, selling or representing my clients. I take great pride in delivering superb customer service and really enjoy giving back some of the knowledge and experiences I have gained over the years. I understand no 2 real estate transactions are the same and as the Broker/Owner of this business, I am understanding and willing to customize my marketing plan and commission rates to make any transaction as successful as possible. I am a relocation specialist able to provide clients with great contacts to local lenders to make their move to the Wausau Area a great experience. In addition my negotiable commission rates will ensure you are getting the best value in the sale of your existing home. I was born in Wisconsin and I've lived in Central Wisconsin for most of my life. I served 4 years in the Air Force before receiving an honorable discharge, moving home, and serving another 3 years in the Air National Guard. I have been in real estate for five years and I am also a professional firefighter and paramedic in Wausau. I am no stranger to helping people solve their problems! I currently live in the Wausau area with my beautiful wife and baby daughter. We enjoy spending our time on the slopes and on the water. We have come to love the people of Central Wisconsin and the community that we grew up in. The world of real estate can be complicated and confusing, especially if you haven't had much experience. Different locations, markets, seasons, and properties can each bring their own challenges. It is vital that you know you are making the right decisions for your personal situation. I pride myself on making sure everybody's experience from beginning to closing. I truly enjoy helping people solve their problems and I look forward helping everybody navigate the real estate process! I am Lake Country resident for over 40 years. I graduated from Hartland Arrowhead High School and then continued my education at UW LaCrosse. I received a Bachelors and Masters degree from LaCrosse. I also competed athletically while attending Lacrosse, I was team captain as well as earned All American honors for the wrestling team. I enjoy spending time with my family, spending time outdoors and coaching some of the youth athletic programs in the area. I was born and raised in Wisconsin and moved to the Central Wisconsin area in 1988 employed as a USPTA Tennis Professional at Sentry World Sports Center. I graduated from UW-La Crosse with a Bachelor of Science in Recreation Administration. I am also an educator with a K-12 teaching license from UW- Stevens Point and work in the Stevens Point School District. In 2009, I became a licensed Realtor. I have lived and worked in the Stevens Point area for the past 30 years. My husband and I raised both of our children in this area and now enjoy watching their college careers as D1 student athletes in tennis. Our family enjoys many outdoor activities such as fishing, hunting, biking, camping, skiing and water sports. We have been active members of our community through the school districts’ that we are employed with, and volunteer opportunities in tennis events, sporting venues and fun runs. My contacts in the area and involvement in the community leverage my energy and enthusiasm, enhancing my client dedication and insuring satisfied repeat clients and referrals. My experience as an educator has given me great patience, an awareness for detail, and the ability to differentiate the needs of my clients. I look forward to being an advocate for your buying and selling needs in Central Wisconsin.